Please note that this current website does not have a shopping cart. To buy our Commercial Brain Tanned Leather online, please go to our e-commerce website at NaturalExotics.ca. 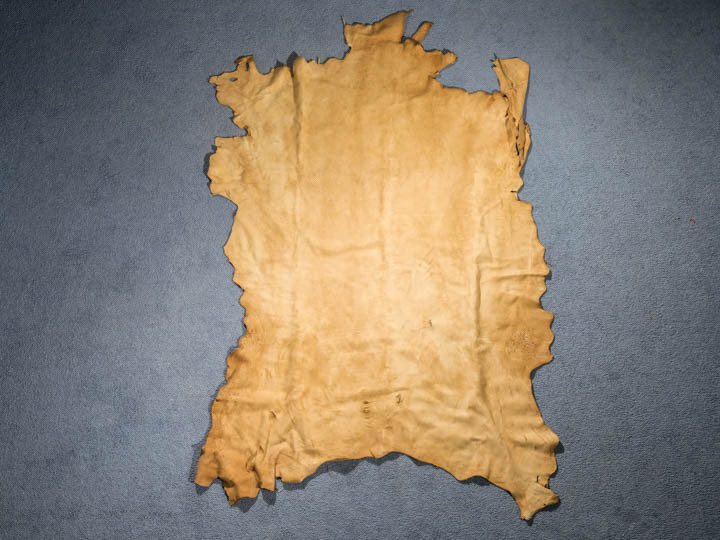 These quality leather hides are tanned using a method that emulates the traditional brain-tanning process. 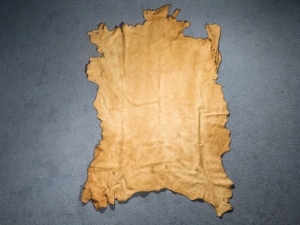 They may have some holes, blemishes, and scratches on the leather, most near the side of the hide. 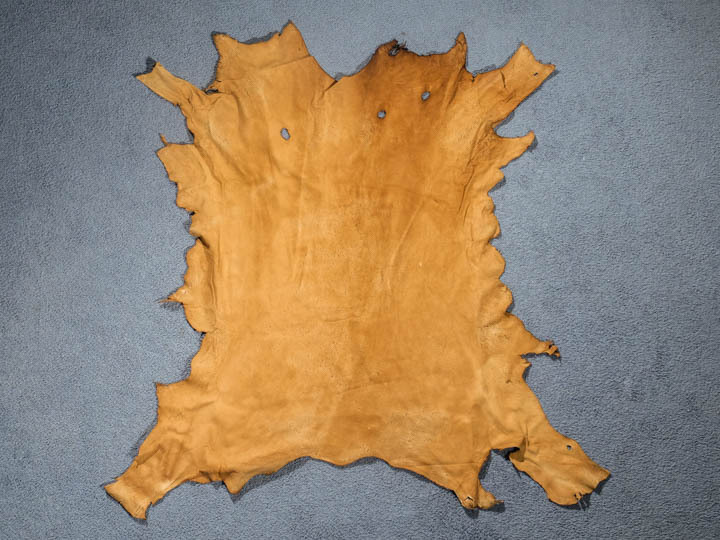 These commercial brain-tanned hides have a smoky smell and are as supple as the traditional brain-tanned leather. They come in different sizes and shapes, but are sold and priced by the square feet. The commercial brain-tanned elk hides average about 22 to 23 sq. ft., ranging from 16 to 25 sq. ft. The deer hides average about 11 to 12 sq. ft., ranging from 10 to 16 sq. 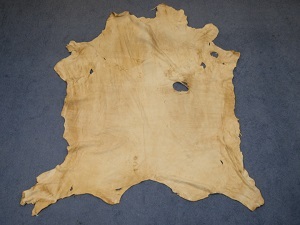 ft. Full buffalo hides average between 33 and 38 sq. ft., while half hides average 19 sq. ft. in size. Genus and species of elk: Cervus elaphus. Wild. Genus and species of deer: Odocoileus virginianus. Wild. Genus and species of buffalo: Bison bison. Ranch. 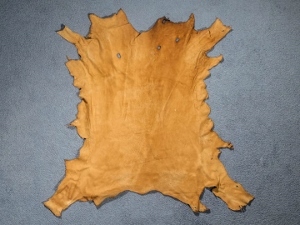 Buffalo, elk and deer are not endangered species, and are not killed just for their skins. They are not subject to CITES controls.